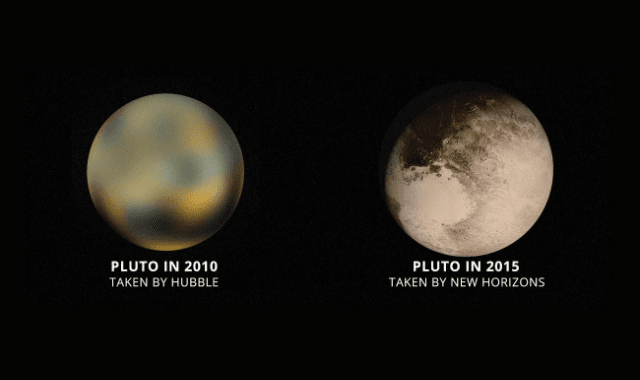 New Horizons: To Pluto And Beyond #Infographic ~ Visualistan '+g+"
10 years ago, NASA launched the fastest spacecraft ever. Its mission was to explore the outermost areas of the solar system beginning with the ice dwarf Pluto, a feat that had never before been accomplished. More than 3 billion miles later, the New Horizons spacecraft has since completed its primary mission and is hurtling away into deeper space. It is now on its way to explore more ancient and icy mini-worlds in the Kuiper Belt. Living up to its name, the spacecraft no bigger than a piano is boldly going where no explorer has gone before and changing how we understand the evolution of our solar system, and ultimately, that of others.